Saint Martin is one of the northeasternmost of the Caribbean islands, lying roughly 200 miles east from Puerto Rico. The island is the answer to the trivia question, where do France and Holland share a border, since the north is governed by France and the slightly more populous southern half is a territory of the Netherlands (Dutch "Sint Maarten"). As might be expected given its location, Saint Martin offers warm weather, lovely beaches and a laid-back atmosphere where tourists enjoy every variety of water sport from surfing to scuba as well as a maze of hiking trails through the hilly interior. The dry season runs roughly from January to April, though there are often substantial stretches of dry weather during the monsoon season as well. Golfers will be pleased to know that this little island has its own full-sized course, a par 70 layout in Dutch territory on Mullet Bay. 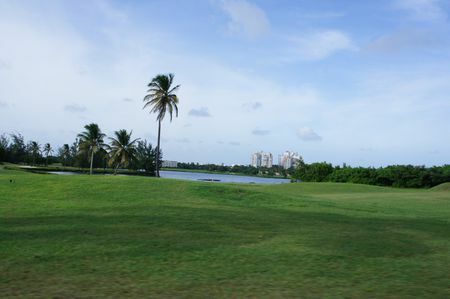 The Mullet Bay Golf Course was established in the late 20th century by a consortium of dedicated players who wanted to play some real golf. 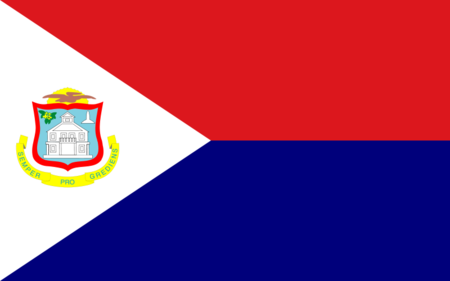 And indeed the Dutch are pressing ahead with their Sint Maarten Golf Association, with a membership nearing 150. Not to be left out, the French have created a popular driving range on Orient Bay.